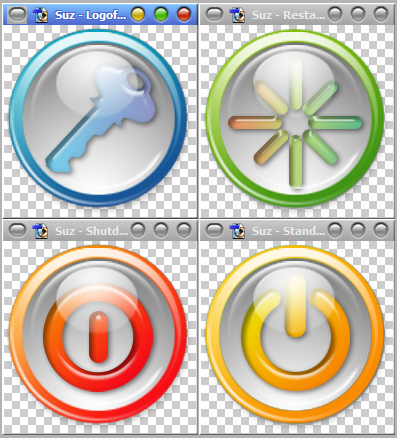 Here's a pack of standby, shutdown, logoff and restart PNGs for your dock. There are two versions included, one that's good for the dock and the other (without reflections) that are better for use in the KKMenu. Those have the word "scalable" in the file name.